2016: Signed with Republic FC on March 23 ... Made 30 appearances for Republic FC in all competitions, including 27 USL appearances ... Scored his lone goal of the season against Saint Louis FC on August 13 ... Announced his retirement from professional soccer on December 21. 2015: Was loaned to Republic FC on August 29 … Appeared in one match for Republic FC, starting and playing 90 minutes against Tulsa Roughnecks FC (8/29) … Appeared in 17 matches for San Jose, starting seven … converted a penalty kick in a penalty shootout against Republic FC during the U.S. Open Cup on June 16. 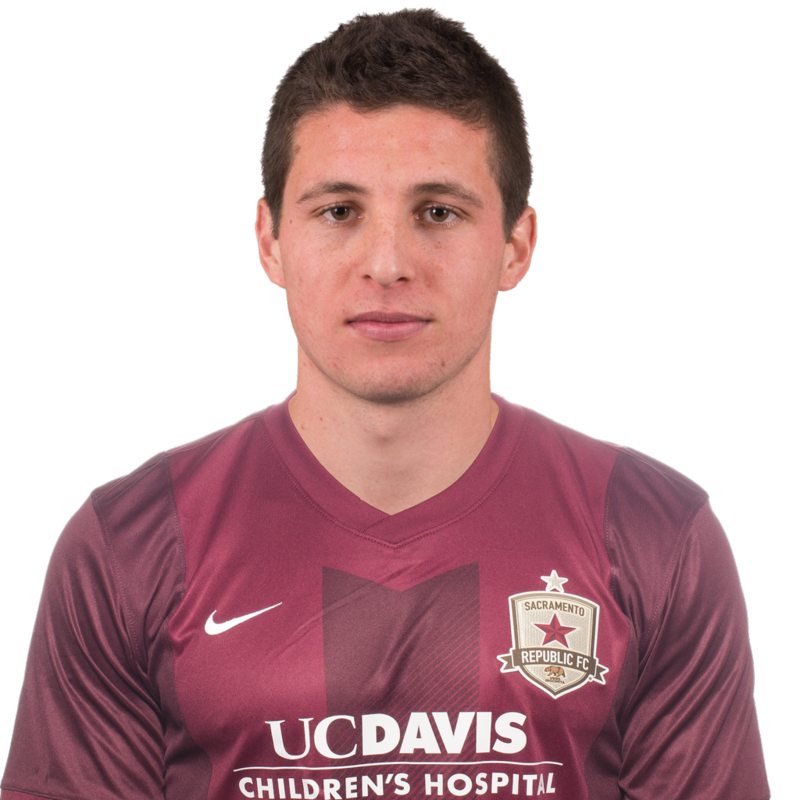 2014: Was loaned from the San Jose Earthquakes to Sacramento Republic FC … Appeared in two matches for Republic FC, including a start … scored a goal against Arizona United SC (8/2) … Appeared in 22 matches as a rookie for San Jose, starting nine … Was the first round selection of the San Jose Earthquakes in the 2014 SuperDraft. 2013: Appeared in and started 21 matches for Stanford … scored two goals and added an assist … Served as team captain … Earned All-Pac-12 First Team, Capital One Academic All-District 8 and Pac-12 All-Academic honors. 2012: Appeared in and started 17 matches as a junior … Scored two goals and recorded two assists … Earned All-Pac-12 Team honorable mention and All-Pac-12 All-Academic honorable mention honors. 2011: Appeared in and started 18 matches as a sophomore … Scored two goals and recorded an assist on the season. 2010: Appeared in 18 matches as a freshman for Stanford, including 17 starts. Married to Karli Koval … Parents are Jeff and Lisa Koval … Has two sisters, Becca and Tatum … His grandfather Gordan Gravelle was an offensive tackle for the Pittsburgh Steelers winning two Super Bowls (IX and X) … He and teammate Danny Barrera were players on the Gladiators in Will Ferrell’s 2005 movie, Kicking & Screaming.